Wow: so a lot of folks have things to say and feelings, feelings, feelings about being queer book detectives and queer readers and queer writers. I honestly was not expecting the response that I’ve gotten to Why I Don’t Want to Be a Queer Book Detective Anymore (Although I Do Still Want to Be Harriet the Spy). So thanks to all of you (possibly new) readers who’ve checked out and shared the post! Especially those of you in Australia (who knew queer women in the Southern hemisphere would be reading my little Canadian blog!). Unfortunately for me a lot of the fascinating responses and debate have been going on on tumblr, a site which I admit until yesterday I was totally confused by. I’m still not exactly sure how to tell who is saying what and who is just re-posting stuff other people said. I wanted to reply to everyone, but I don’t have tumblr (maybe I need to get it? ), so here I am writing another post on my blog and hoping that linking to various tumblrs will let folks know I am responding. 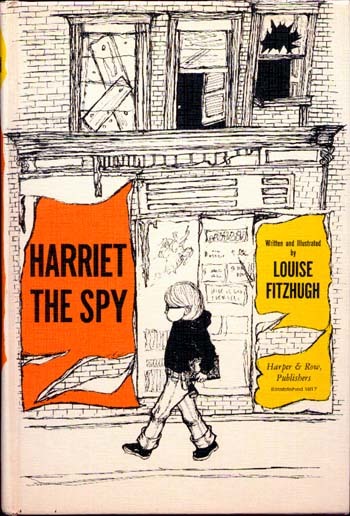 No one has mentioned Harriet the Spy, though, which is disappointing. She’s an amazing pre-baby dyke! 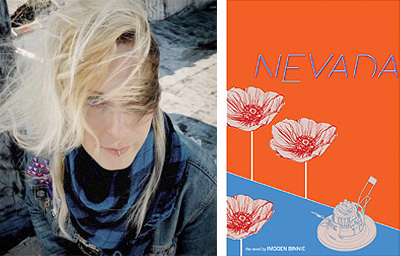 Let’s just plug Imogen Binnie and her novel Nevada again, shall we? I wish there were more trans lesbian novels to talk about! “Let’s be honest—I would love more lesbians to be reading my work. I’m a lesbian author of lesbians books—I want, desperately, for lesbians to find my stories and read them. But then lesbians need to start buying lesbian books, and queer people need to start supporting queer authors much more than they’re doing. “I experience more frustration on this point than you can imagine, and my basic response to Sarah Diemer, I haven’t given up on queer literature because I read one book and thought it was terrible. I’m desperate for it. But if you want me to read your books, please, write the kinds of books I want to read. These writers emphasize that it’s unreasonable to expect all queer women readers to be interested in all different kinds of LGBTQ literature. They express frustration with trying to find the kind of queer lit they want to be reading. This is my frustration as well. 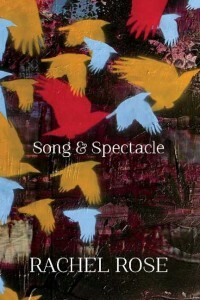 For example, this collection of poetry on the left by Vancouver poet Rachel Rose is one kind of queer lit–accessible but smart lesbian poetry–that I’ve been looking for. But I only found out about it when the publisher emailed me to let me know it had been nominated for a Triangle Award. And the author lives in the same city as me! “I have found this myself in trying to publicize lesbian books. Many lesbians are convinced that all lesbian books are bad, and aren’t willing to try any anymore. This really connects to Piercing Fiction’s post: It’s time to be more discriminating in [lesbian] books. Basically it seems to be that we have this camp of lesfic readers who are cheerleaders for all lesbian books, even the most poorly written, terribly edited ones, and this results in a larger camp of readers thinking that all we have to offer are poor-quality books, and they then refuse to read any lesbian books. Perhaps I am living in a bubble of quality literary-loving LGBTQ women—I am writing this after getting home from a packed, enthusiastic launch for Amber Dawn’s memoir How Poetry Saved My Life, after all. In any case, I do think that it’s important to be forthcoming in my reviews, and I always try my best to be. Fair, but always honest. I really hope this “lesbians hate lesbian books” thing is on its way out, if it was ever really that pervasive to begin with. This entry was posted in Amber Dawn, Canadian, Fiction, Lesbian, News, Non-Canadian, Poetry, Queer, Trans, Trans Feminine and tagged book blogs, books, LBGTQ, literature, sarah diemer. Bookmark the permalink. Excellent per usual Casey. I actually missed the original post, so I wanted to let you know that in the YA section of Powell’s, the biggest bookstore here in Portland, they have big rainbow markers on the shelves under ANY book that even has a queer character (secondary or primary), and I LOVE it. I typically go there just to peruse the rainbow markers and see if there are any new ones I’ve missed. (Not sure if they do this in the adult fiction as well, as I typically spend most of my rind in YA! And there is a specific LGBT section where lots of the adult fiction is.) I don’t know how to post images on here, but I’ll post one via Twitter because I know I’ve taken photos of them. Excellent per usual, Casey! I actually missed the original post (which I just read now, and it was AWESOME), so I wanted to say that in terms of how bookstores deal with this, the YA section of Powell’s, the biggest bookstore here in Portland, uses big rainbow markers beneath ANY book with a queer character (secondary or primary), and I LOVE it. (They might do the same in the adult section–I just normally spend my time in YA! And there’s also an actual LGBT section where I believe a lot of the adult fiction is.) I frequently go there just to peruse the rainbow markers and see if there’s any new titles or ones I’ve missed. It’s something I think all bookstores should do. I’m not sure how to include a picture in this reply, so I’ll tweet you one, since I know I’ve taken photos before. Yes, Powell’s is so doing things right, especially for young adults (I would never in a million years have been brave enough to ask for a queer book when I was a teen). I noticed that and was thrilled when I was in Portland last fall. I didn’t notice the same strategy in the adult fiction section, though. I wonder how they go about finding out which books have LGBTQ characters, especially if they’re secondary. There must be some great queer book detectives working at that store (who are hopefully not as disgruntled as I am!). You should give tumblr a try! I’d be happy to help with any questions you have! It’s a lot of fun, and as you can tell, there’s a lot of conversation happening there. It’s funny, there’s about 3 different conversations going on at the same time and getting a little muddled together (how identifiable queer books are, the audience for lesbian books, and why lesbians hate lesbian books (that was a title a little inflammatory just to get a reaction, I’ll be honest)), but they’re all really interesting! As much as Sarah’s reply doesn’t really address what you were talking about, it is a topic of conversation in itself. I’ve been so excited to see all this queer lit discussion! I’m always carefully combing through blogs and tumblrs for queer lit; this is the most conversation I’ve seen! I hope it keeps up, because I think these are all important discussions to be having. Yes, the opportunity for conversation is so great! Perhaps I should jump on the tumblr bandwagon. Thanks for the offer of help; I will let you know! I love how my post was a catalyst for a bunch of different conversations that obviously needed to happen because so many people have passionate things to say! Although I really appreciate Sarah Diemer’s response and perspective, I did feel a bit attacked by her post, as a queer reader and as someone who feels that LGBTQ folks should be the priority (not the only, but the most important) audience for LGBTQ literature. I’m explaining what I am looking for as a lesbian/queer reader so that I can support the queer books and authors that I want to support. So I’m on her side! But the sense I got from her repsonse to that paragraph was that she thought I wasn’t. Anyway, I guess that happens when someone only sees an excerpt. Also, I fully support inflammatory titles.